If you’re living off the mains gas grid, and your boiler’s not working or isn’t efficient, chances are that best oil boilers is something you will be searching the internet for quite often. Living in the UK, buying a new oil boiler can be one of the most important household decisions you can make. And with online reviews available from a pin to a plane these days, it’s probably a good idea to do your own research before buying best oil boilers. 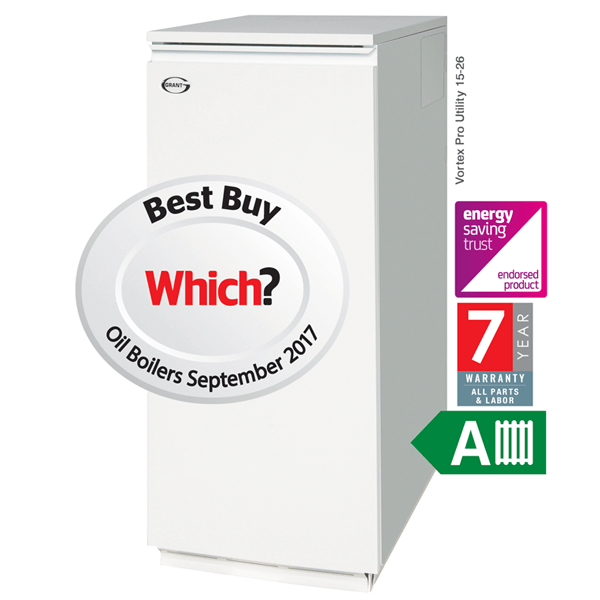 Which is why as a responsible boiler installation company, and OFTEC registered technicians, we’ve tried to make your decision as easy as possible by doing reviews of the best oil boilers you can buy in 2018. About 4.5 million households are not connected to the UK’s gas network. For these homes, central heating systems powered by oil, LPG or electricity are the best options. Electric doesn’t make any sense at all. Because number one, electricity is ridiculously expensive to heat even a small to medium sized house. Number two, while in terms of direct boiler emissions, it is the lowest compared to Oil, LPG and Gas, on the other hand electricity production creates greenhouse gases and tons of emissions harmful for the environment. Houses in remote areas usually have a large oil or LPG tank outside the house, oftentimes in the garden, where you fill it once a year, shut it and forget it and get consistent, highly efficient central heating and hot water all year long. Oil is a more efficient fuel for heating, as you get better return on every unit spent, especially for condensing best oil boilers. Oil heating average prices for a 3-bedroom house is close to £1,360 per annum. This can vary greatly depending on whether your boiler is a brand new, class A high efficiency condensing best oil boiler or an older boiler. LPG boiler average heating prices are closer to that of oil at about £1,400 per annum. For gas boilers, annual bills would be between £770 and £980, again, depending on boiler efficiency. 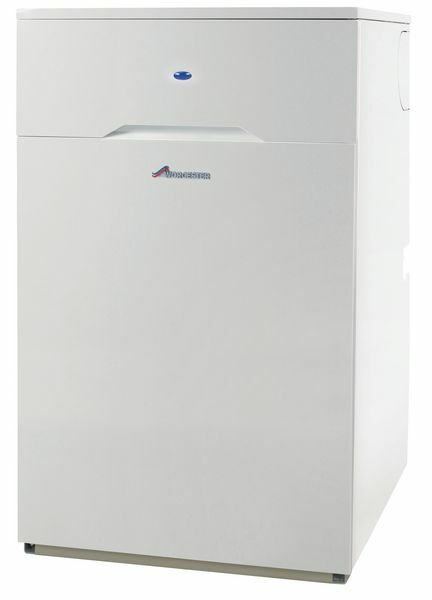 You can save anywhere from 30%-40% on your annual energy bills with a brand new condensing best oil boiler. 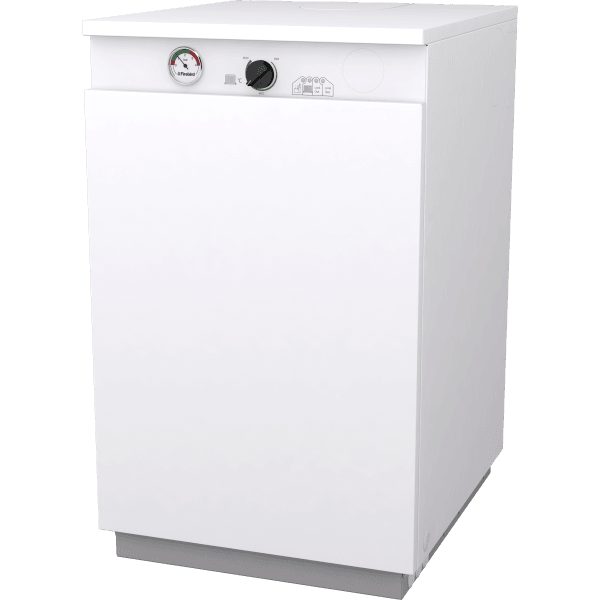 Oil boilers cost between £1,200 and £3,000, depending on the boiler type and size appropriate for your property. Total oil boiler installation can exceed £4000 to $5000, again depending on the size of your property, or if any extra work is required. Thankfully there are free boiler grants available from the UK government to fight fuel poverty for people who are on certain qualifying benefits. More information on that can be found at the end of this post. Oil-fueled Central Heating System – How does it work? An oil-fueled central heating system works in the same way as a gas-powered central heating system. The best oil boilers use oil to heat water, heating your home via radiators and sending hot water to the taps. The biggest way an oil boiler differs from a gas boiler is, because you’re off the mains gas grid, and you don’t have mains gas supply feeding constant gas to the boiler, you will need to store oil at or outside of your property. Depending on the size of your tank, you may need to refill it annually or bi-annually. In 2018, there are now high efficiency combi and heat-only oil boilers available on the market. Oil combi boilers have internal hot water tanks to supply hot water. Whereas gas combi boilers have what’s called on-demand hot water. Oil combi boilers are highly energy efficient, and you can save a lot of fuel by heating up water on demand. The running costs of oil combi boilers is usually much, much lower than other types of oil and some LPG boilers. Oil is a more efficient fuel than gas and LPG, so every unit of energy spent gives a much better return. Newer oil boilers are condensing boilers, running at an efficiency of 90% and above, compared with 60% for older boilers. Options for oil boilers are very few compared to gas boilers, even LPG boilers (which oftentimes are gas boilers with an LPG conversion kit). But even the limited boiler options you have are quite high quality to support an oil fueled central heating system. Over the years, Boilerhut have installed hundreds of oil boilers. And the following guide is has been developed with OFTEC approved engineers and installers with over 40 years of experience. 63 boiler models are available from Grant consisting of internal, external, system, boiler house, wall hung, and combi variants. Consequently, Grant has an oil boiler solution for almost any domestic property’s heating needs. With so much choice on offer throughout the Vortex and VortexBlue ranges, Grant oil boilers have established themselves as market leaders. Grant’s Vortex oil boilers have some of the highest efficiencies available in the UK, achieving gross seasonal efficiencies of up to 93.3% (SAP 2009). The range is available with heating outputs from 12kW up to 70kW. From white cased utility models through to the powder coated external models, from the wall hung boilers through to the red cased boiler house models, Grant’s oil boilers can provide a solution for a wide variety of homes and their diverse heating needs. Slimline models available including the Vortex Utility 15-21kW which is only 348mm wide and the Vortex Combi XS which is 515mm wide. All Vortex and VortexBlue Combis come with a 24ltr expansion vessel as standard. All of Grant’s oil boilers incorporate their patented stainless steel heat exchanger technology which ensure each product is highly efficient. VortexBlue models have same dimensions as Vortex equivalents so ideal for replacement boiler installations. All Vortex oil boilers are available with a 7 year guarantee when installed and registered by Boilerhut Ltd (subject to T&Cs). All VortexBlue oil boilers are available with a 10 year guarantee when installed and registered by Boilerhut Ltd (subject to T&Cs). Boilerhut work closely with Grant, and are one of the main Grant Accredited Installers in the UK. Which means not only are our installers rigorously trained to meet the highest quality standards, being OFTEC registered, they also complete the installation in the safest way possible. 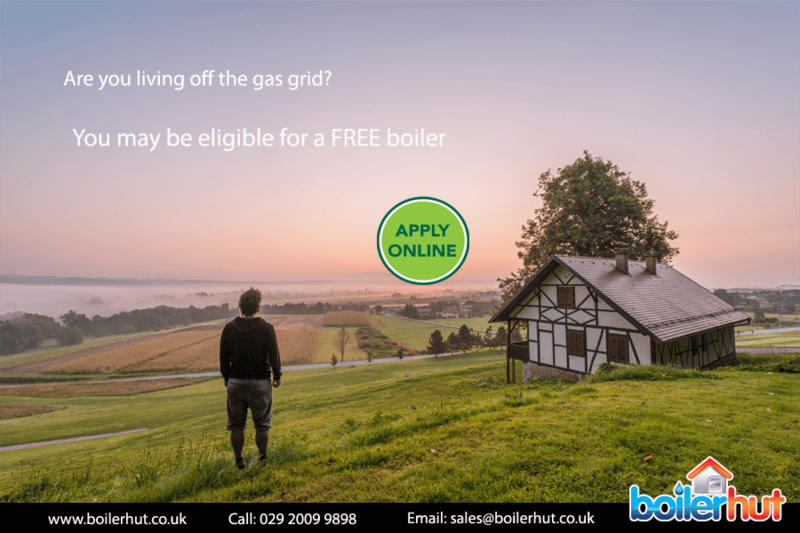 So you can be rest assured that if you get an oil boiler installed by Boilerhut, whether through a Free Boiler Grant or you buy it straight or on finance, you will receive the best possible service in the UK. Cecil Duckworth founded this company in 1962 as Worcester Engineering Co Ltd. In 1992, after acquisition by Robert Bosch, it became Worcester Bosch. They are one of the most trusted heating companies in the UK and have been market leaders for a long time. Whether gas or oil or LPG boilers, they have a presence everywhere, and in this case their Heatslave II oil-fired boiler is a close second to the Grant Vortex Pro range. These are suitable for properties of all sizes, and features easy access connections and a one piece stainless steel primary baffle and cross firing burner. Heatronic 4i digital control unit gives accurate control and diagnostic information. One piece baffle for quick and easy servicing. Easy access oil and hydraulic connections. Digital control offering precision heating and hot water control. Front access for routine servicing, including a pivoting expansion vessel for ease of access. 5 year guarantee on Worcester primary heat exchanger. 80/125mm room sealed flues with lengths of up to 8m available. Plume management of up to 5m with conventional and flexi-flue kits also available. The fighting Irish! Firebird was established in 1980. And since then they have become Ireland’s number one brand for boilers. Firebird now employs over 300 staff and have extended their operations and sales to the rest of the UK, Europe and even international. Excellent hot water performance – over 16 litres / min on 35kW model. Rapid re-heat after hot water draw-off. Compact design – fits under standard kitchen worktops. Hard wearing casings with high quality finish. Twin circulating pump – no diverter valve. Fully insulated and acoustically designed for ultra-quiet operation. High performance Riello RDB burner complete with full diagnostic control box. We haven’t done a detailed review of these models as they are still relatively unknown and not on the same levels as the models reviewed above. Efficiency: Highest efficiency at 91%. Warranty: Extended warranties up to 10 years when installed by Grant accredited installers. Technology: One of the only boiler manufacturers to use stainless steel heat exchangers.